Bag Gloves vs Sparring Gloves – What is the Difference? 4 Comments on Bag Gloves vs Sparring Gloves – What is the Difference? Every training type has different needs. For example, you should keep your partner safe during the sparring, however, we try swinging the bag as much as we can. All pairs are constructed for different needs and of course, there are lots of differences between training types. Let’s start with safety comparison of heavy bag and sparring gloves. Then continue with their padding quality and quantity differences. We don’t try hurting partner during sparring and because of that sparring gloves have attached thumb to prevent any eye injury whereas you don’t need that feature during the heavy bag session. Secondly, punching bags are very tough and our knuckles, wrists face high impacts in very short amount of time. Thanks to wrist support feature our wrists stay stable and safe. In my opinion, it should be the most important feature when you get a new pair. I actually had a problematic right wrist and it still hurts time to time. I honestly hate it when that happens. Wrist injuries can be really serious and it does not matter that you do sparring, heavy bag or focus mitt training you should not consider training without this feature. And it is truly vital for heavy bag sessions because it will be the toughest item which you will ever face. Also, pairs, which have longer cuffs, generally protect wrists better. These wrap wrists better and make it extra stable. However always look at reviews of gloves. I have seen lots of horrible boxing gloves with long cuffs. We need lots of padding quantity for protecting our sparring partner and you probably have seen very big gloves for punching bag training. So can we use heavy bag pairs for sparring? If you don’t want to cause serious injury in sparring, you should not 😉 The padding material of the heavy bag pair is totally different and its mission is to deliver the shock well so you can improve footwork as the punching bag swings. In sparring it is exactly the opposite. Also after you punch a tough item, glove’s padding will move a lot and it should come to zero-state before the next punch. So we can have quality punching experience. If it does not, this shortens the durability. 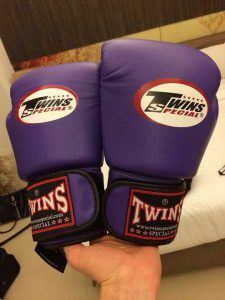 And if glove’s padding can’t achieve it during punching bag session, that pair will be useless in no time. However sparring glove’s padding quantity is a lot and incredibly soft to protect your partner. You won’t strike a tough item in sparring, so the quality of padding memory is not really important. 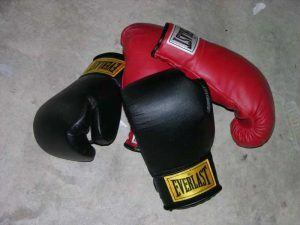 Heavy bag pair’s padding is mostly concentrated on knuckle part of the glove and it has minimal padding of the upper side. So you can punch faster and use the momentum. Whereas both front and the upper side of sparring gloves have lots of padding. This is why you won’t throw your fastest punch with this pair however when you defend yourself, the padding of the upper side will protect upper side of your hands better. Whether you choose sparring or heavy bag gloves these should have premium safety features. Here are some best boxing gloves for safety and training performance. You can also find their other incredible features as well. You can choose heavy bag pair according to your weight. Normally you can choose sparring gloves according to your weight too. However, most boxing gyms won’t allow you to spar less than 14 oz. Can You Use Sparring Gloves for Heavy Bag Workout? It is obvious that we can’t use heavy bag gloves in sparring because these deliver the shock well and can knock out your sparring partner. However, can you do the opposite? Well actually you can but you won’t have a good sweaty workout. The reason is that sparring pair’s padding is soft and don’t deliver the punching impact well so the bag will barely swing. In that way, you won’t get much benefits. If you are interested in knowing other benefits of heavy bag training, then check out here. Also sparring glove’s padding normally does not forget its memory fast so with time the sparring pair will lose padding quality in heavy bag training and the pair will be useless in no time. So sparring gloves are really not ideal to use in punching bag session. However, your hands will be safe. Normally premium heavy bag glove’s price is lower than premium sparring pair. Because leather is the most effective factor for determining the price. So good quality sparring pair’s price should be more than quality heavy bag pair. These are all I know about the subject and even though these gloves look similar there are lots of differences between them. Each pair needs different safety and training performance features. Also, let’s not forget that these have different padding distribution. I hope you enjoyed bag gloves vs sparring gloves content and if you have any questions or anything to share, please have a comment below. great post. It is good to know and was always curious about that. You would not want to use the wrong gloves on the wrong subject, would we? Thanks Furkan for this post. I had not really thought about this before but it does make sense. As you said I wouldn’t want to knock out my sparring partner by wearing the wrong type of gloves. So what sparring gloves would you suggest? You can have a look at these best boxing gloves. 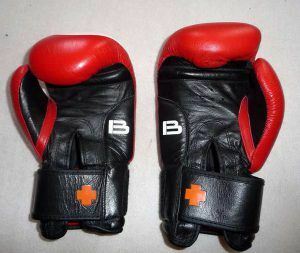 I am sure you can find a pair for sparring and you can also do pad work with some of these.